Hauser & Wirth New York will present Poetic Wanderings, a solo exhibition of new and recent sculptures, drawings, paintings, photographs, and videos by Brazilian artist Anna Maria Maiolino. These works challenge notions of desire, language, and sexuality while examining themes of displacement, deprivation, and everyday rituals. The show is aptly titled for Maiolino’s cross-disciplinary and multimedia practices as she works freely, even offering a new language for the often precarious realm of human existence. She draws on her formative experience migrating and adapting linguistically from postwar Southern Italy to South America. The centerpiece of the exhibition is “in-locu,” a large-scale clay installation consisting of soft, amorphous forms handmade by the artist. The raw materials and laborious processes that go into creating the shapes speak to Maiolino’s passion for working with clay and evoke daily rituals of labor as well as natural bodily functions of eating and defecating. The poignancy and temporality of the exhibit is emphasized by the unfired clay, which appears wet and emits a faint scent as it decays and shifts throughout the show’s run. Maiolino’s clay-molding practices are adapted to her writing and drawings, as well. 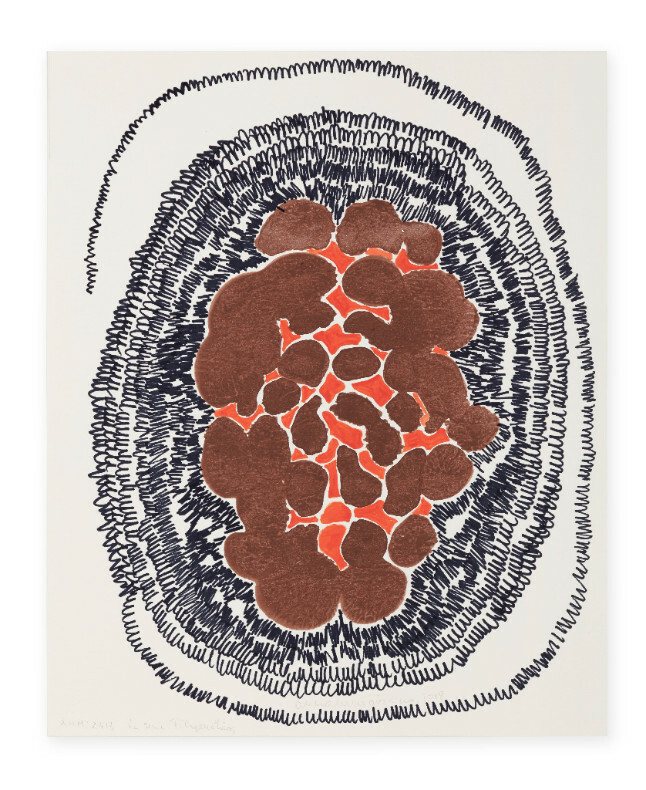 Paper assumes a quality of matter and body with each drawing comprising a dense network of lines that resemble a three-dimensional cellular organism. The opening reception for Poetic Wanderings will be held Wednesday, November 14 from 6 to 8 pm.